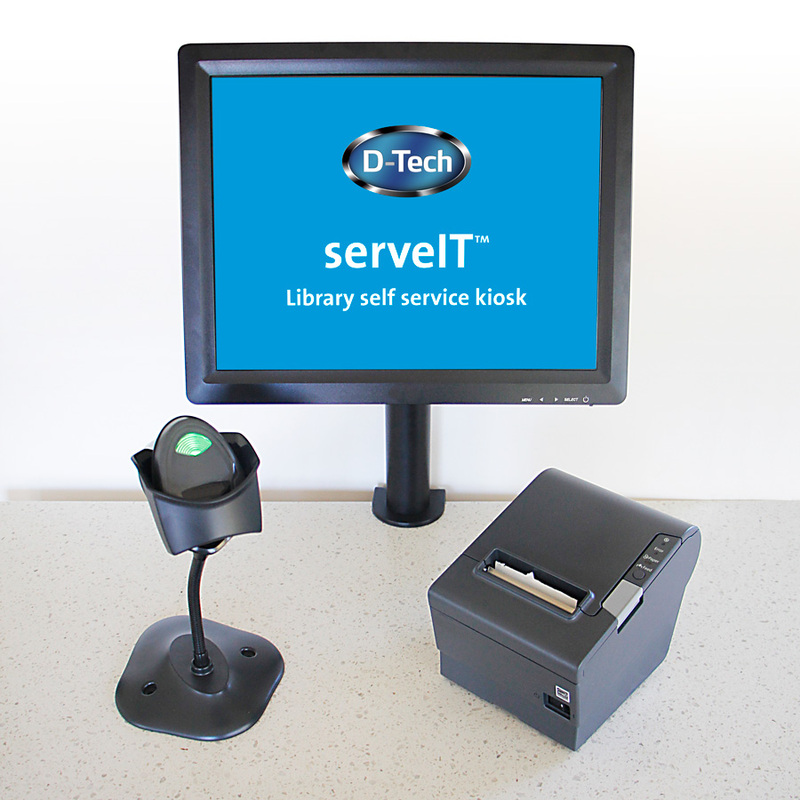 The D-Tech RUBY SelfCheck™ self service kiosk is a compact, flexible and affordable component system able to integrate with your existing library furniture and is compatible with most Library Management Software systems. It's an excellent option for schools, colleges, academic and healthcare libraries wanting to save staff time, increase library throughput, or provide a means to issue or re-issue items when staff are not available. 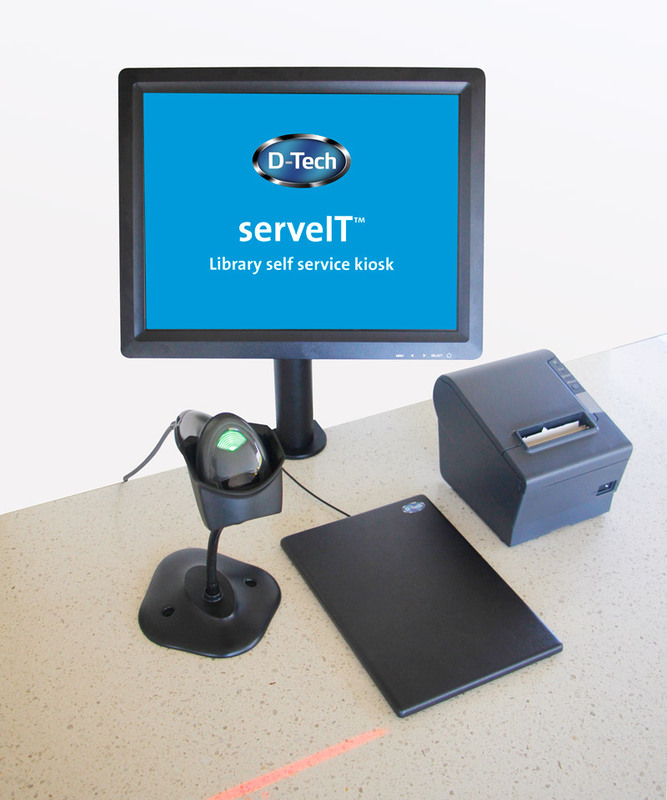 Ruby is available configured for Barcode or RFID library systems and it operates D-Tech's proprietary SelfCheck™ software. The high quality POS touch screen can simply sit on your counter top, or be hard mounted on an adjustable desktop pole mount with easy swivel, angle and height adjustment. The Ruby SelfCheck features easy maintenance and management and comes with a full 1 year warranty and support. Note: The Ruby unit in the video has a different appearance to the current model. 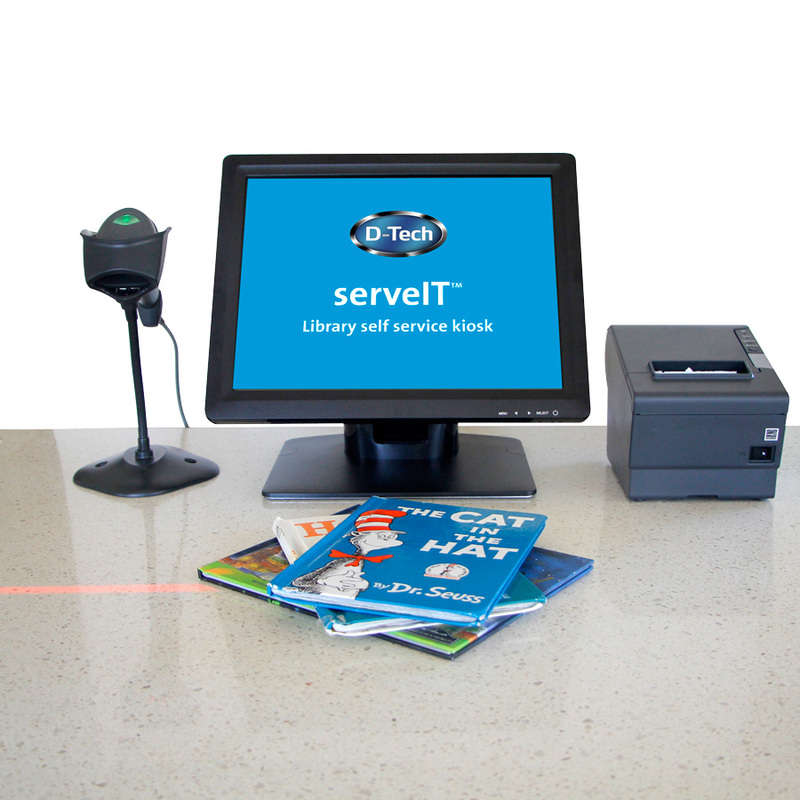 Last July our Operations Manager, Wendy Pyne, contacted Steve at Library Plus regarding the purchase and installation of a library self-issue machine. 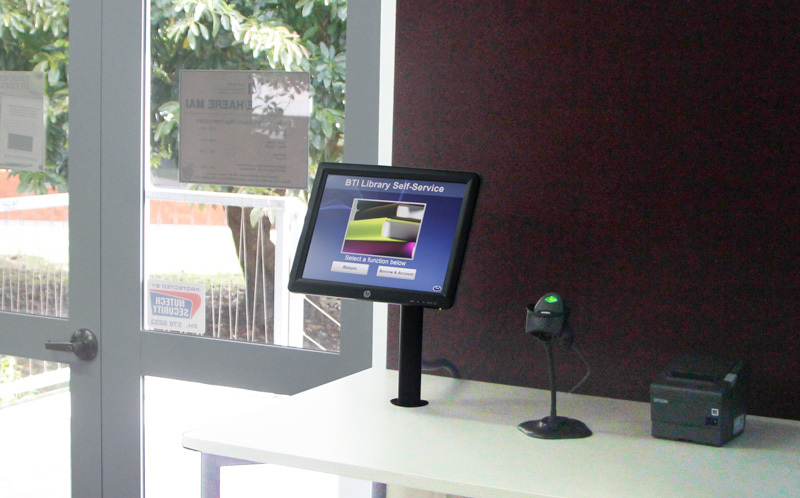 In February, Steve came down to install the kiosk and explain and demonstrate how it all worked. Steve has liaised with myself, our Operations Manager and our IT systems administrator and we have found him to be a good person to deal with – responsive, willing to give good customer service and explain technical details in a straightforward manner. He was thorough in the testing phase and has offered follow-up help post installation. I feel confident that we have a good product and our students have enjoyed having the ability to use the self-issue machine. 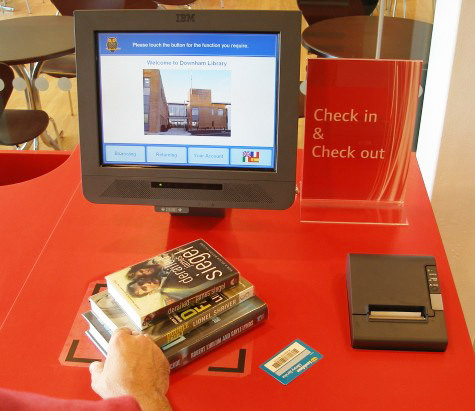 In time this will be an even more valuable asset – once after hours swipe card access to the library is enabled. I would recommend Steve and Library Plus as a trustworthy person and company and am happy to speak personally on the matter.